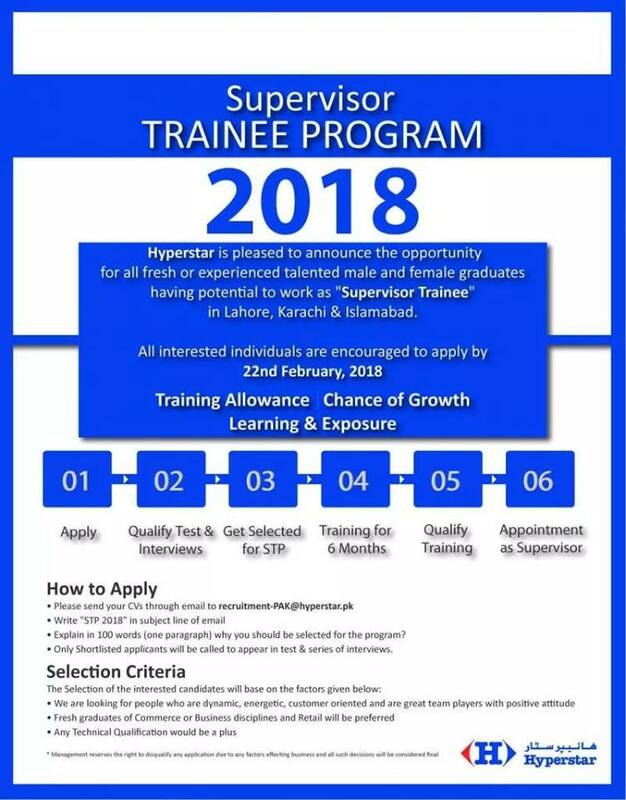 Hyperstar is pleased to announce the opportunity for fresh and experienced talented graduates for the following position. Send your CV at the email address given below. Explain in 100 words why you should be selected?